Mazda has confirmed its new small diesel engine will be offered in the new Mazda2, which will be unveiled later this year. 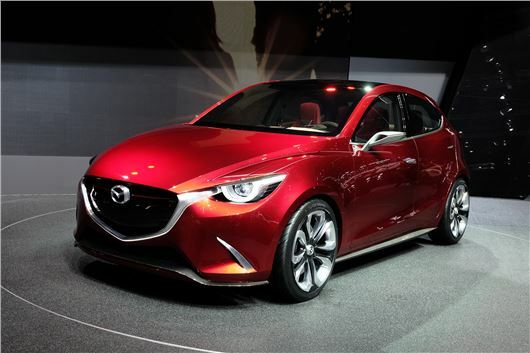 The new Mazda2 is expected to be unveiled at this year's Paris motor chow, and will be closely based on the Mazda Hazumi concept (pictured) revealed at the Geneva motor show in March. The second Mazda Skyactiv diesel engine, sitting below the 2.2-litre diesel, also made its debut in Geneva, and will be offered in other models. The announcement of the engine in the new Mazda2 is unusual as the small car sector has lower demand for diesel engines because higher purchase costs need higher mileage to exploit the improved fuel economy of diesel. The 105bhp 1.5-litre diesel is expected to offer more than 80mpg on the combined cycle in the Mazda2, and it will also come with Mazda's i-Eloop energy recuperation system, currently offered in the Mazda6 and where 10 full seconds of energy recuperation can provide up to a minute of 'free' electricity for the car's other systems. Mazda's own expectations for fuel economy for the car are class leading for any conventional internal combustion engine car available in Japan.